Does your lagoon system or wastewater treatment plant suffer from midge fly outbreaks? Midge flies, or chironomids, which resemble mosquitoes but don’t bite, commonly occur in wastewater treatment and lagoon systems along lake shores. Midges are often seen in large mating swarms over water. They lay their eggs in the water and in about ten days these eggs hatch to form larvae, often called red worms or “bloodworms” because of the presence of hemoglobin in the blood. Bloodworms love the nutrient-rich conditions in a wastewater treatment plants and feed off the bacteria and sludge. 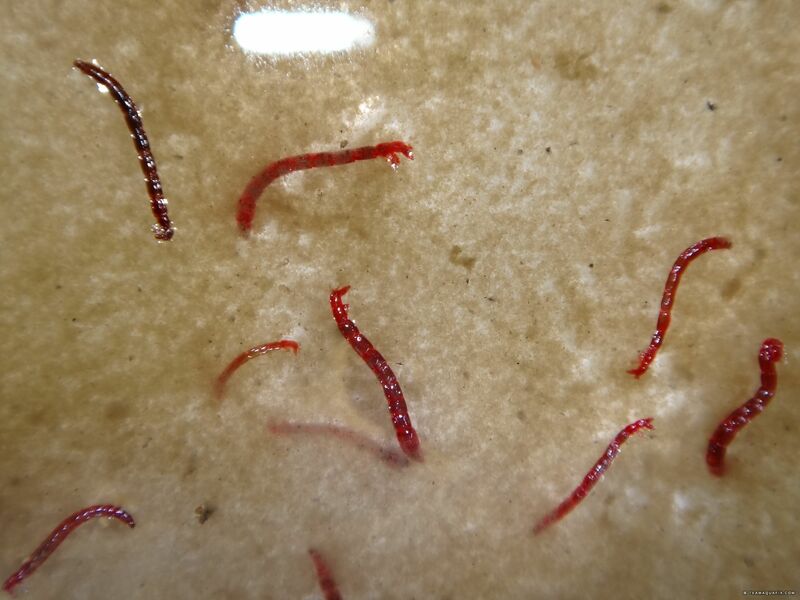 This is why a wastewater plants with a lot of red worms can watch their mixed liquor go down even though they are not wasting. In ten days, the bloodworms mature into midge flies and start the cycle again. Midge flies have four stages to their 10 day life cycle. Additionally, sometimes the bloodworms will colonize on the side of a tank. When they colonize, that’s called cocooning. How Do You Eliminate Midge Flies? AQUABACxt is a highly effective, US EPA-registered biological larvacide. It contains a species of bacteria called bacillus thuringiensis, commonly referred to as Bt. 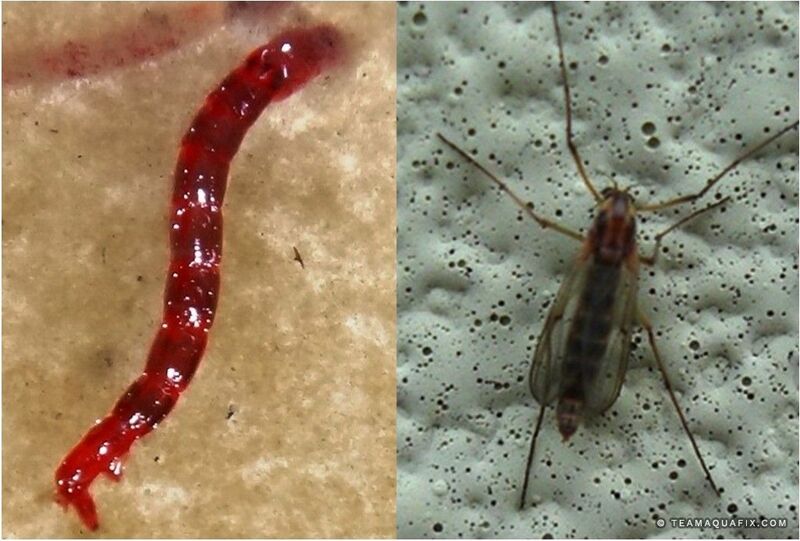 Bt works by producing a crystal that kills the red worms that digest it. AQUABACxt can be dripped either into the head of your plant or before the clarifier, depending on where you have the problem. If the problem is in the clarifier AQUABACxt would be fed between the aeration basin and clarifier. Once the product is established, a reduced dose will do fine, most often plants will find 10-20 oz is fine. Other plants will use 5 oz per 100,000 just to limit their activity. If the plant gets a lot of grease and papers, we may couple this with our BugJuice. This product helps to expose the red worms as they shield themselves.